Free Racquet For Juniors Who Have Never Played Before! Created by the LTA and delivered by LTA qualified coaches Tennis for Kids is a fun starter course for children aged between 4 and 11 who have never played tennis, or have played very little, before. Tennis for Kids is an affordable short course packed full of games and drills designed to introduce children to the game of tennis and to get them active – there is also a chance for parents to join in too! Book your place on the awesome Tennis For Kids courses now as spaces are limited!! 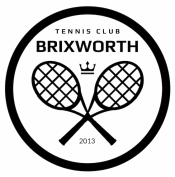 Previous Post Brixworth Men’s Squad Finish Third In The League!